A Division Bench of the Lahore High Court on Wednesday sought a larger bench to hear petition seeking to prove the innocence of Bhagat Singh. Bhagat Singh was convicted under the offences of hatching conspiracies, awarded and hanged on March 23, 1931, along with Sukhdev and Rajguru. The bench, comprising Justice Khalid Mahmood Khan and Justice Shahid Bilal Hassan, referred the petition to the Chief Justice for constitution of a larger Bench, after it was brought to its notice by the petitioner that Bhagat Singh was awarded death penalty by a three Judge Bench. Hence, it was submitted that a larger Bench of not less than five Judges must hear the plea against his conviction. The petition, filed through Advocate Imtiaz Qureshi, demands a review of the orders that had lead Singh to the gallows. It submitted that Bhagat Singh had fought and sacrificed himself for the freedom and independence of the sub-continent. It was contended that Singh’s sentence be set aside, submitting that he is respected even today in the subcontinent not only by Sikhs but also Muslims. It also brought to the Court’s notice that Muhammad Ali Jinnah had paid tribute to him twice during his speech in the central assembly. 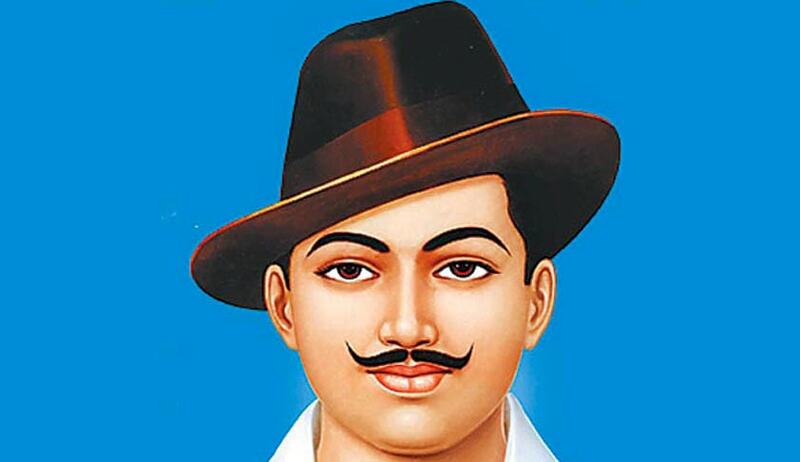 It demands an order to the Government to honour Bhagat Singh with posthumous state award. The petitioner further seeks to take over Poonch House, where Bhagat Singh’s trial was held, and convert it into “a museum of national history of Pakistan”. Earlier in May 2013, Justice Shujaat Ali Khan had referred the matter to the Chief Justice for constitution of a larger bench. The two Judges bench then constituted, is the one that has sought to refer the matter to a larger Bench now. The FIR registered against Bhagat Singh was handed to the petitioner, eighty three years after his hanging. It was noticed that the FIR of the murder of British Police Officer J.P. Saunders did not mention Singh’s name, but was registered against two ‘unknown gunmen’. The lawyers in Lahore are reportedly being advised by Advocate in Supreme Court of India Nafis Ahmad Sidiqi, who is the son-in-law of the great nationalist and poet Hasrat Mohani. The several loopholes in the judgment awarding death penalty were earlier highlighted by senior Supreme Court advocate and well-known writer A.G. Noorani, in his book The Trial of Bhagat Singh. RTI Activist Subhash Chandra Agrawal said that 'if needed and so desired, Indian government should also co-ordinate with those Pakistani lawyers who are now seeking re-trial of conviction of Shaheed Bhagatsingh at Lahore High Court to make history-pages really truthful'.